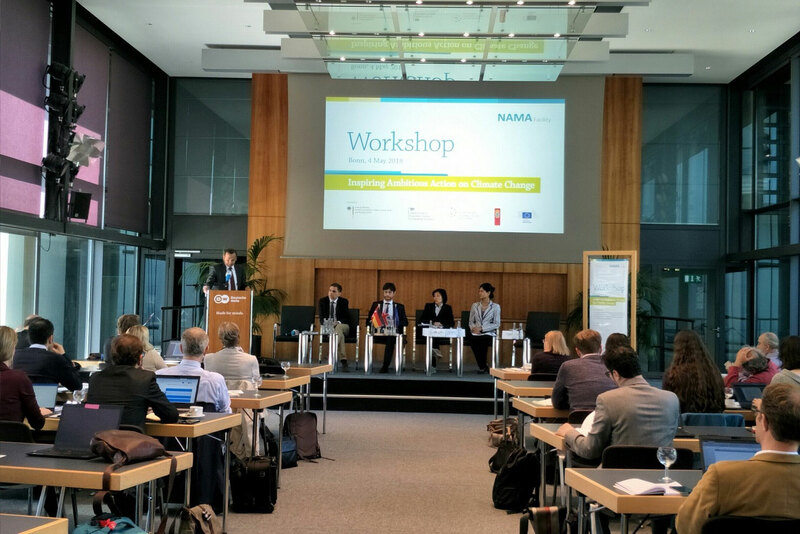 The NAMA Facility hosted a side event titled “Inspiring Ambitions Action on Climate Change – The NAMA Facility Workshop 2018” during the Bonn Climate Change Conference, which was held in Germany during 30 April – 10 May 2018. The side events and exhibits were organised under a common theme of “Accelerating implementation of the Paris Agreement”. 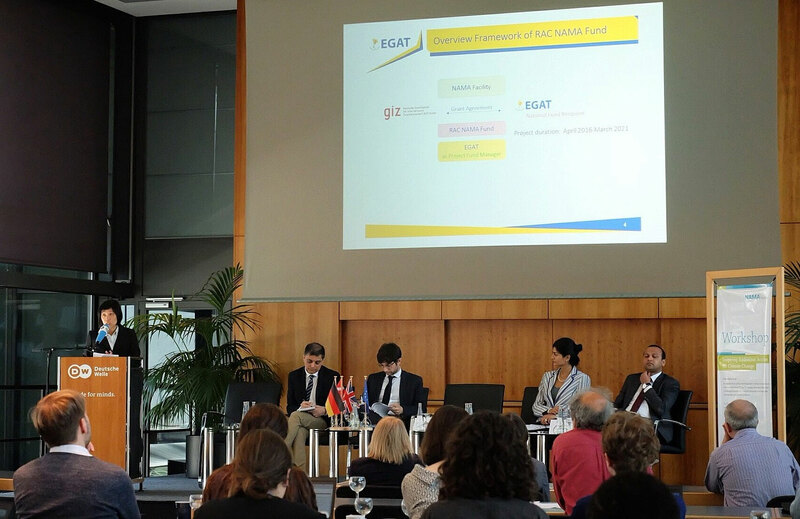 On 4 May 2018, representatives from the Electricity Generating Authority of Thailand (EGAT) attended the workshop. 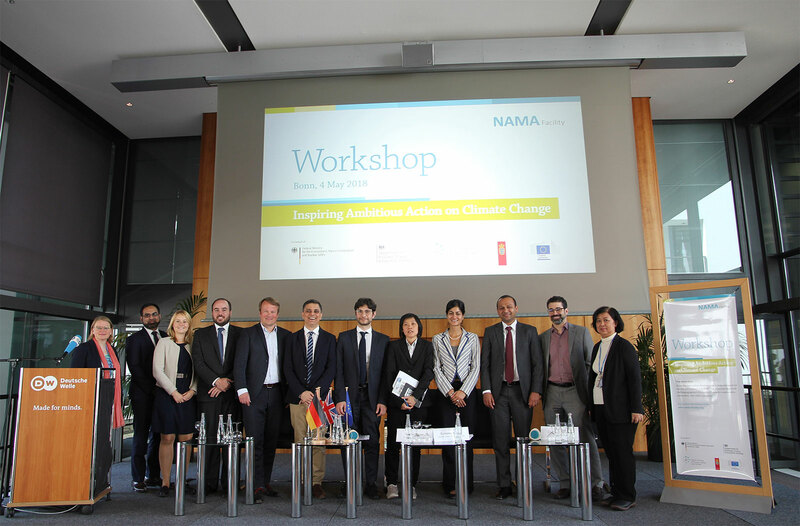 Ms. Anchalee Natikool, Scientist Level 9 of EGAT’s Project Environment Division, shared information on the implementation of a NAMA Fund in the session “Enhancing Financial Ambition in NAMAs and Climate Mitigation”. Other financial institutions, namely the Global Green Growth Institute, the Climate Policy Initiative and the Private Sector Facility of the Green Climate Fund, also gave presentations. Ms. Anchalee introduced the RAC NAMA Fund as one important component of the Thailand Refrigeration and Air Conditioning Nationally Appropriate Mitigation Action (RAC NAMA) project, emphasising that Thailand’s RAC NAMA Fund is one of the pioneer “climate finance” projects funded by the NAMA Facility in Southeast Asia. She explained the financial support provided through the project and outlined the functions of the fund in Thailand and how it will be implemented. The total budget of 8.3 million Euros of the RAC NAMA Fund is designed for financial mechanisms that stimulate the market for green energy-efficiency cooling from both supply and demand sides. It is divided into loans and grants to not only support the development and production of climate-friendly products, but also for testing and training facilities to establish a safe environment for these new technologies. EGAT is determined to coordinate with all sectors such as policy-makers and cooling producers, and take on a supporting role in the technical cooperation, technology and knowledge transfer to promote energy efficiency through an eco-friendly approach. The project will help the country reduce its greenhouse gas emissions and reach its energy consumption reduction target. The RAC NAMA Fund, which provides financial support to promote natural refrigerants, was established through the Thailand RAC NAMA project following the signing of the Grant Agreement in December 2017 with EGAT as the project fund manager on behalf of the Royal Thai Government. The NAMA Facility was established in 2012 by the German Federal Ministry for the Environment, Nature Conservation and Nuclear Safety (BMU) and the UK’s Department for Business, Energy and Industrial Strategy (BEIS). The Danish Ministry of Energy, Utilities and Climate (EFKM) and the European Commission joined as new donors in 2015.